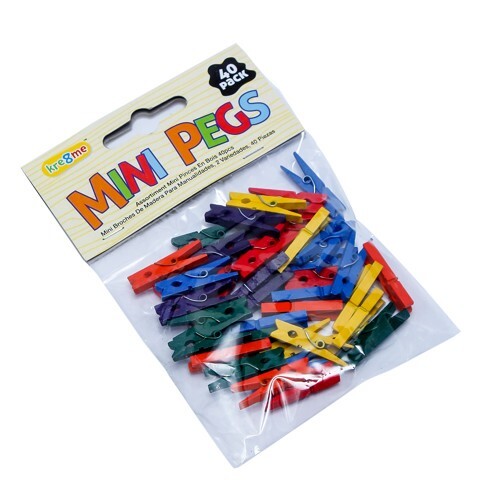 Craft Pegs Mini Coloured 40Pc. 3cm. Available in: Red | Blue | Purple | Green | Orange | Yellow. Wood. 0 Packaging: Polybag Header Card.